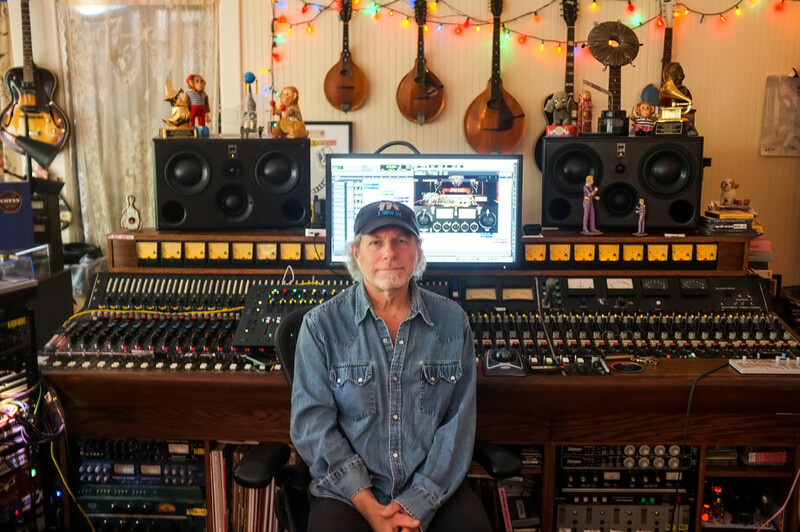 NASHVILLE, TENNESSEE – AUGUST 2016: Buddy Miller is a Grammy Award-winning producer, songwriter, guitarist, and engineer. After getting his start in the late 1970s in New York City and Austin, he moved to Nashville and went on to produce dozens and dozens of big- and small-name talents, including Emmylou Harris, Patty Griffin, Shawn Colvin, and Robert Plant. When he’s not on the road, Miller spends some of his days working out of his home studio with his wife, the talented singer-songwriter Julie Miller, who long complained that the studio monitors they used sounded unpleasant – until at last Miller found ATC monitors. The ATCs combine the accuracy and detail needed for mission-critical audio work with the joyful listening experience craved by lovers of great music. Building on three years’ success with ATC SCM25As, Miller recently upgraded to ATC SCM45As, which deliver greater bass response via two low-end drivers and greater high-end clarity with ATC’s made-in-house SH25-76S tweeter.